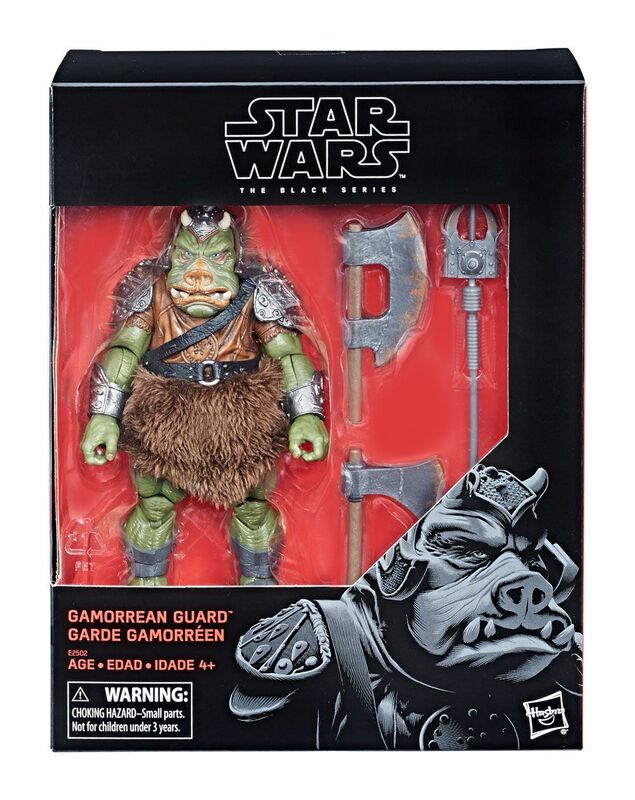 As a follow up to last week’s report regarding Target aisle reset plans, we’ve receive word that the planogram has now been updated to include the popular Gamorrean Guard again – that will mean (at least) 3 exclusives of the shelves for October. (Gamorrean, Moloch, at Bespin Escape Leia). 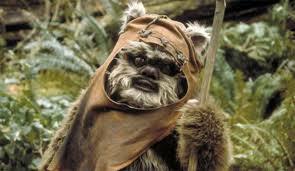 Another scan through my online sources this morning has turned up a Hasbro listing for an upcoming Talking Wicket the Ewok. Price point looks to be about $20* making far less complex than the Ultimate Co-Pilot Chewie figure that is hitting stores now. 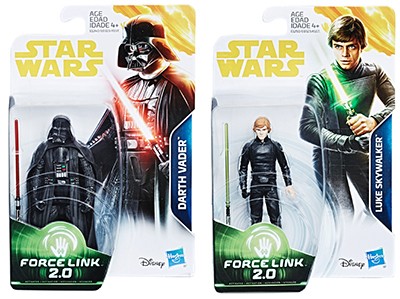 Walmart has added product images for the upcoming Force Link 2 Darth Vader and Jedi Luke Skywalker figures. Of note, the Force Link app shows a different hologram/sculpt representation for Darth Vader and labels it as being from The Empire Strikes Back whereas the figure shown is obviously from A New Hope. Click on through for the images. 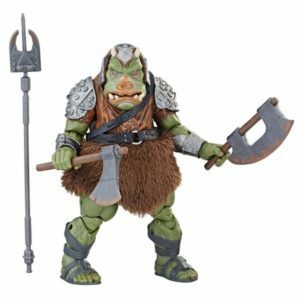 Following up on our 6″ Black Series 2019 report from yesterday, it’s time to check out what we can expect for some of the 3.75″ Vintage Collection figures for next year. Surprisingly there are not a lot on this following list that support Jabba’s Sail Barge. Not surprisingly there may be a fair amount of repacks again from Walmart’s exclusive releases and potentially older TVC figures. Click on through to check out what we’ve uncovered. 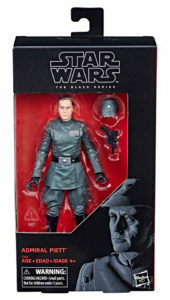 As you can see, this is one of the strongest waves of Black Series to come out in some time. Watch for official preorders to go live soon. 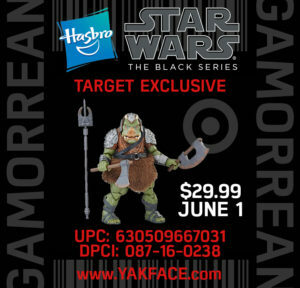 New details for the illusive (at least in the US) 6″ Black Series Gamorrean Guard have been light since that original internal date of June 1 came and went. It now appears that mid-July is the new “target” time frame for its release. RC from Phoenix was told that his particular store has this specifically en route for July 14? Your mileage may vary, but we’ll definitely report when the first one turn up on shelf. Thanks to a post from Michael C. on Facebook, you can now bookmark this link for the Target Exclusive 6″ Black Series Gamorrean Guard. 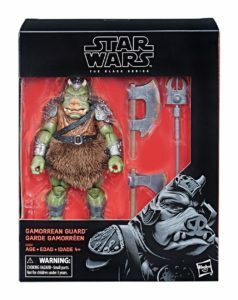 Canadian residents can now preorder the exclusive 6″ Black Series Gamorrean Guard from EB Games. As for U.S. residents, don’t expect finding this at Target quite yet. While the hard locked street date is June 1, they have yet to arrive stateside.